This is it. With one bowl and seven ingredients, this fool-proof homemade brownie recipe is the one you'll turn to from now on. You could give these already fudgy brownies an extra dimension by adding chocolate chips, mint extract or thick swirls of peanut butter, but it's practically impossible to beat the deliciously basic recipe found right here. 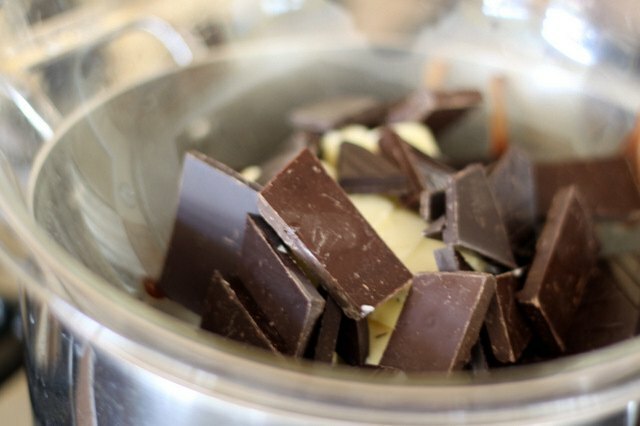 Chop the chocolate and butter into large chunks and place both together in a heat-proof bowl over a saucepan of gently simmering water. Stir occasionally until both the chocolate and butter are completely melted and smooth, about 10 minutes. 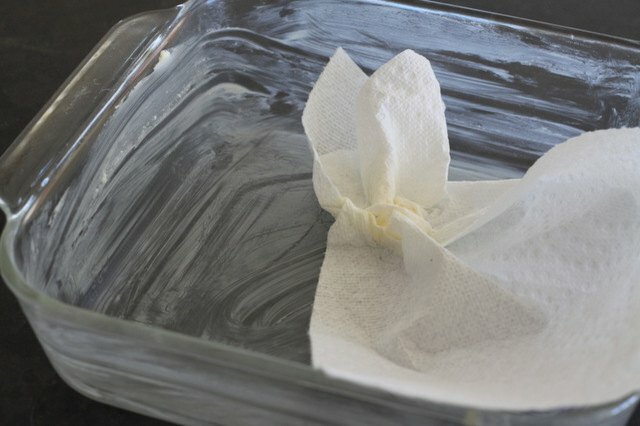 As the chocolate and butter combination melts, apply more butter to a fresh paper towel or use non-stick cooking spray to prepare an 8 x 8 inch pan. 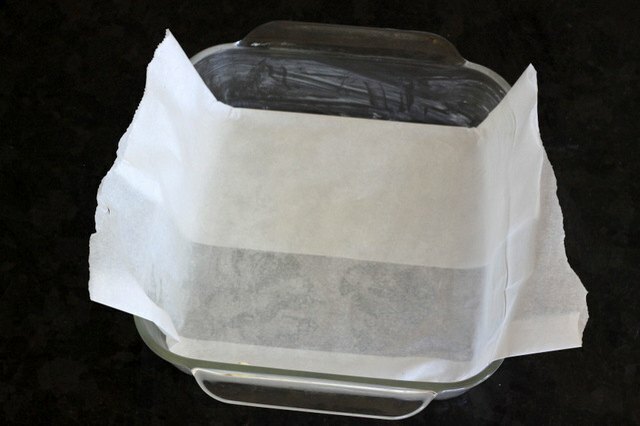 Line the buttered pan with parchment paper, folded or cut to fit the 8-inch pan. Leave a few inches on each side to act as handles, lifting the brownies out of the pan after baking. 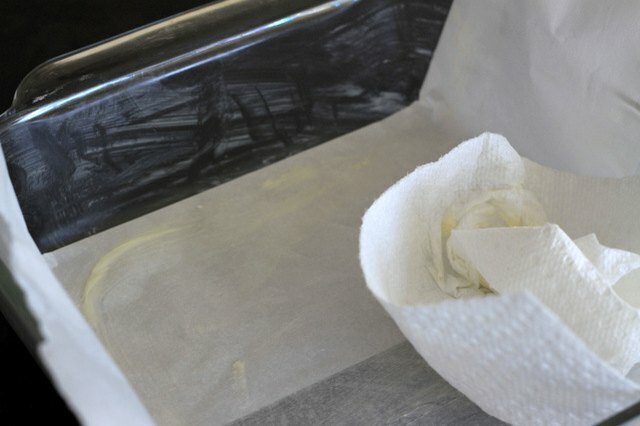 Apply a bit more butter to the parchment sheet. 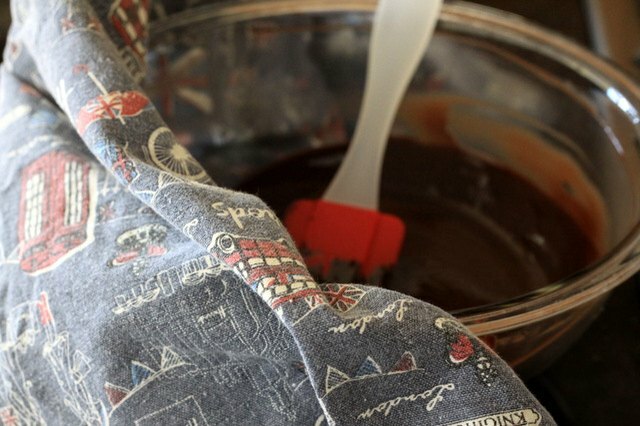 When the chocolate and butter are completely melted, use a towel as a potholder to remove your bowl from the simmering pan, being careful of the steam that'll instantly shoot out from under the bowl. Use your towel to wipe the outside of the bowl, removing any condensation or remaining drips of water. Stir the chocolate mixture all the way around the edges one last time. 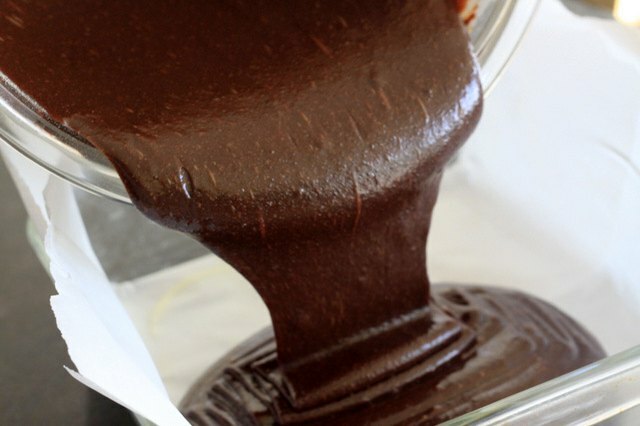 Start by pouring in the vanilla and giving your chocolate mixture a good stir. Add the eggs one at a time, whisking thoroughly after each one. Next add the sugar and stir until the sugar becomes incorporated into the warm chocolate. Add the cocoa powder and stir again. This second form of chocolate gives the brownies a deeper flavor. 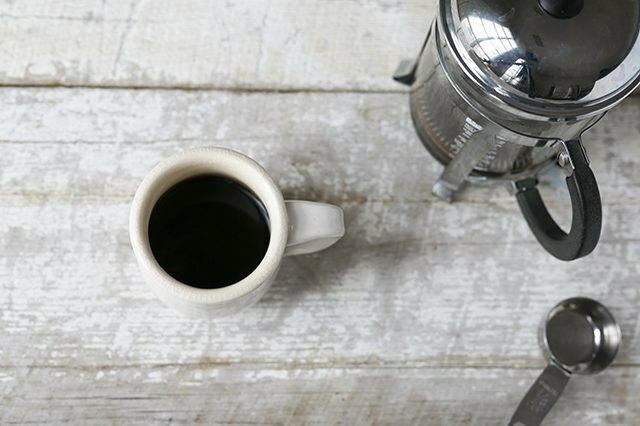 If you want to heighten the chocolate flavor even more, add a tablespoon of brewed coffee. Add the flour last, stirring until it's completely worked into the batter but not overdoing it. 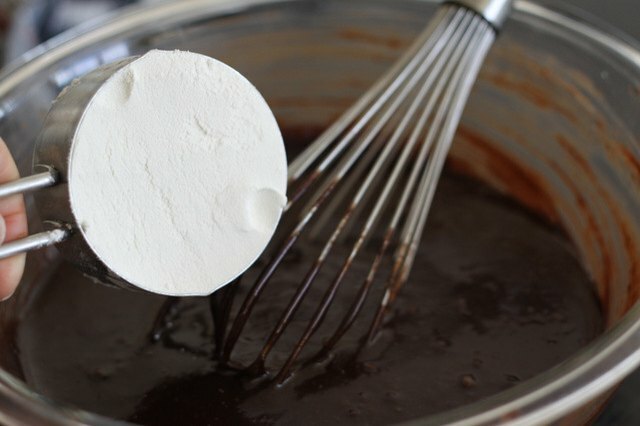 Batter that's been stirred too much can become chewy and tough. 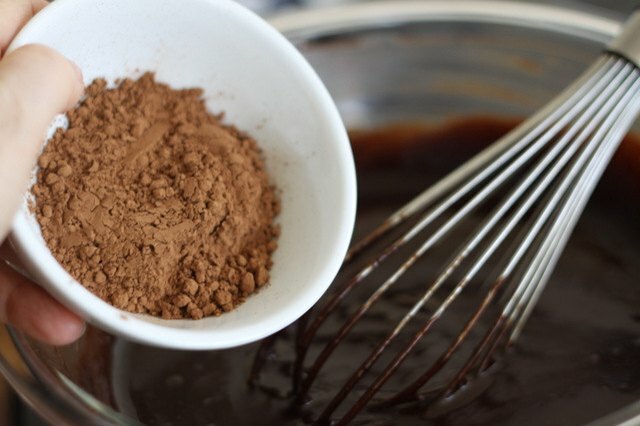 To avoid overworking the batter, some bakers swear by this trick: whisk until the flour is just mixed in, then stir 20 more times. 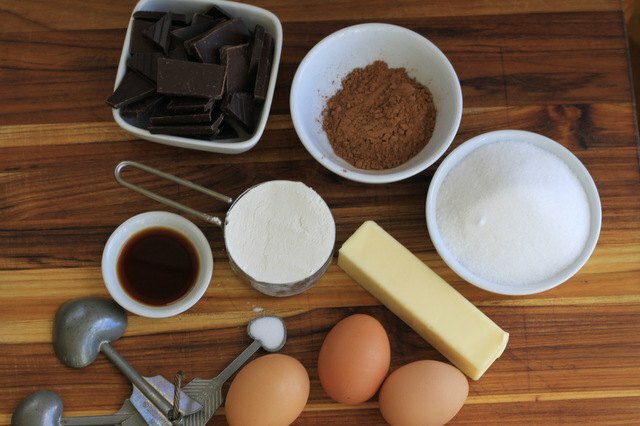 With just a half cup of flour, these brownies will not be cakey, but much more fudgy. 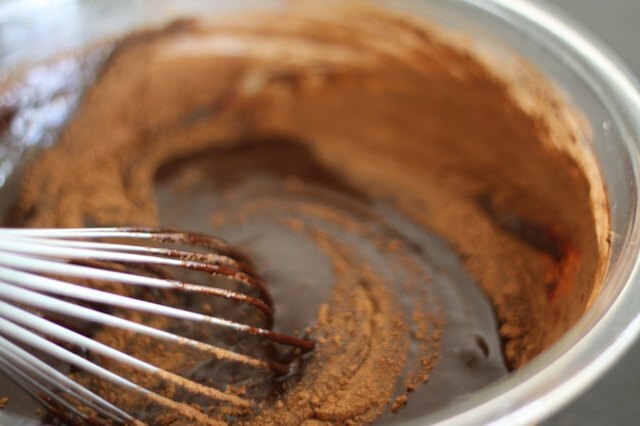 Pour the entire brownie mixture into your prepared pan, using a silicone spatula to scrape the edges of your bowl. Bake for 45 to 55 minutes, testing the center with a toothpick. 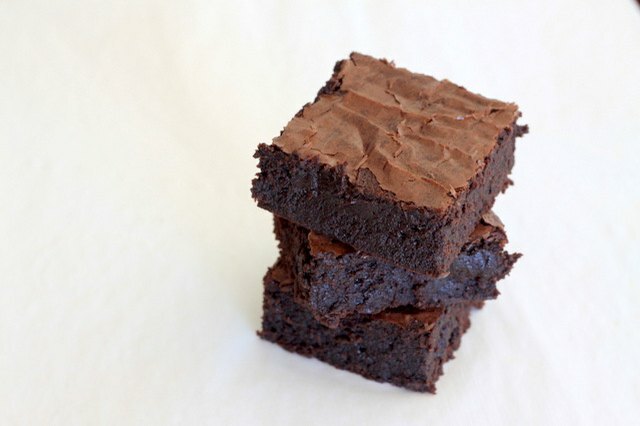 The top of your brownies should be firm to the touch, with a crinkly crust on top. Allow the brownies to cool completely, about an hour. 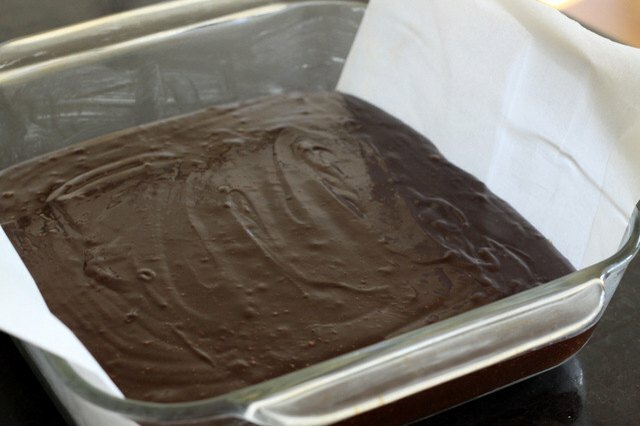 Then lift both sides of the parchment paper, taking the entire pan of brownies with it, and set on a cutting board. Use a large, sharp knife to slice even squares. This recipe makes 9 large squares. Use a bowl of hot water to dip the knife into before making each cut. The warm (and clean) blade will cut without clumps. 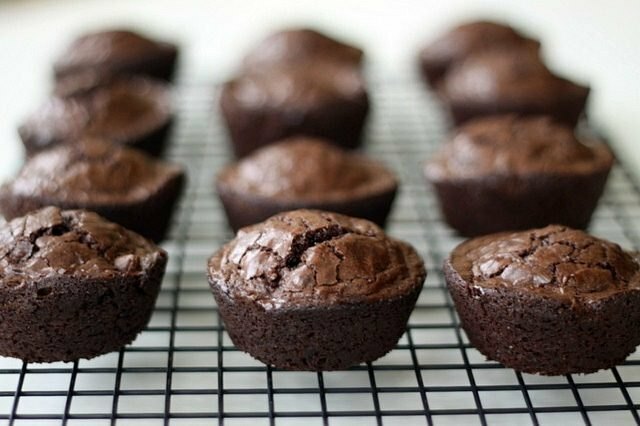 To go for more of a cupcake type of thing, checkout this recipe for making brownies in a cupcake/muffin pan. 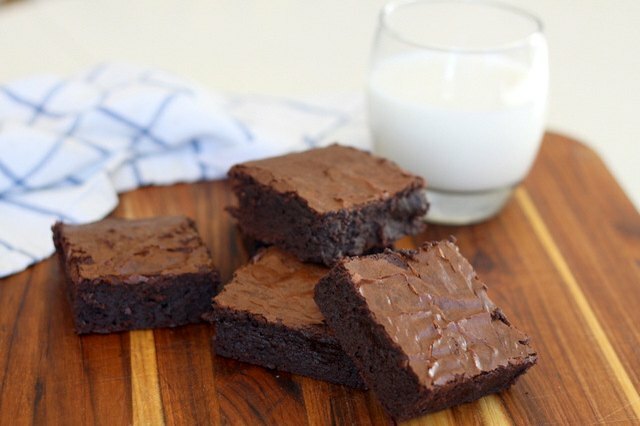 Drink down those brownies with a cold glass of milk. 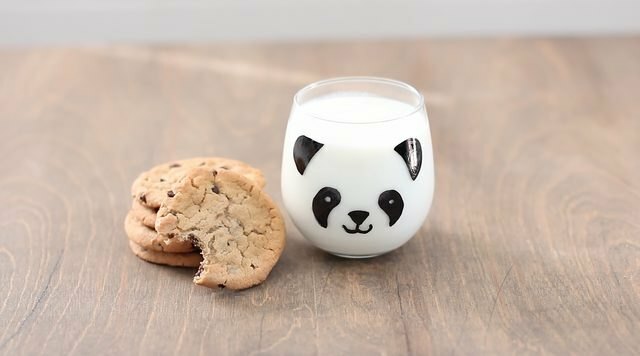 Kids will love this super-easy DIY for making hand painted panda milk glasses.